Keyon Dooling running the point, making those around him better. 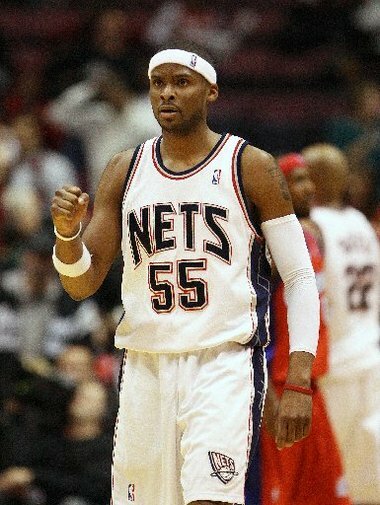 Once Keyon Dooling let his secret go, it set him free to help others. I had the honor of sitting next to Keyon on the panel “Abuse in Sports: How Can We Change the Game?” at the MaleSurvivor.org International Conference last Friday. For some background on Keyon you can read Dave D’Alessandro’s piece below, from the Star-Ledger. There was a memorable self-portrait from the troubled hockey genius who passed through New York a decade ago, Theo Fleury, who tried to explain an endless battle with alcohol and drugs with this poignant observation: “You’re only as sick as your secrets,” he said.And so there was Keyon Dooling, just three months ago, back home in Florida after signing a one-year, $1 million invitation to return to the Boston Celtics and making plans to head north for pre-camp workouts. The only problem: He was tired of the NBA life. Indeed, he felt forced into it. “I had planned my exit strategy during the lockout — that took a lot out of me, and I thought (the 2011-12 season) would be it,” he said. “But it wasn’t just my friends and relatives opposed to me retiring, it was my wife, my kids, my pastor. Dooling, 32, signed the deal to make everybody happy. But his behavior became erratic, his cognition faltered. A public incident in front of his home, where a neighbor believed he was playing too roughly with his own children, led to a visit from the police. His next lucid moment — this was after the medication wore off — was at a psychiatric hospital in South Florida. And it was there that Keyon was told by his wife, Natosha, that it was time to explain how this finest of men — a pro’s pro for 12 NBA seasons (two with the Nets), a deeply spiritual family man, and a superb father — could be dragged out of their house in handcuffs in front of their four children. It was at that age that Dooling was first sexually molested — by a male, teenaged friend of his older brother. He was driving down from Boston on Friday morning as we spoke, heading toward John Jay College in Manhattan, where they were holding the annual International MaleSurvivor Conference. Joe Ehrmann, the former Colts tackle from the ’70s — also a minister and abuse survivor — was to deliver the keynote. Dooling wasn’t sure which part of the symposium he’d address, and he knows the details of his story are excruciating — just Google his appearance on the Katie Couric show last week — but he feels obligated to share it. “I always felt destined to do something important,” he said. “My basketball career wasn’t the one I wanted to have — I was a lottery pick, I had great potential, but I didn’t necessarily reach the level I wanted to as as ballplayer. That’s the thing that strikes you hardest, if you know him — which, clearly, nobody really did. But of all the guys who had passed through Jersey these past 30 years, he was a special one, and it had little to do with talent. It had to do with two other traits, which made others gravitate toward him: wisdom and attitude. He could turn a losing locker room into a pep rally inside of five minutes. He could turn a dour, baffled coach into someone who understood his team better with a single conversation. When we asked Vince Carter during the worst of times how he kept his sanity, he pointed at the Nets teammate wearing No. 51 and said, “Right there — he does it for me.” When it came time to choose a No. 2 man for the NBA Players’ Association, his peers voted Dooling first vice president. When the Celtics spent a third year debating the merits of moving chronic irritant Rajon Rondo, they instead made him Keyon’s Project, and now Rondo is a top-three point guard who probably will retire in Boston. That is the effect Dooling has on people, which is why the Celtics put him right back on the payroll as “Player Development Coordinator.” Basically, he’s a peer mentor, but he’ll be around the basketball ops side to learn from Danny Ainge and Doc Rivers. It’s also the kind of job that will leave time to do what he thinks he was destined to do. The work already is in overdrive. Since the Couric show aired, Dooling has received “thousands of e-mails and texts,” and they come from every corner of the country, from every kind of community, from every race and religion and age group. “You know, when I was in Jersey, that was my hardest period — I lost my dad, I had hip surgery, and we lost a baby,” Keyon recalled. “I knew I was on borrowed time, but I still loved the game, and I felt I had to play. “So you know I can’t run from this. I’ve never been a runner, I always stand for what’s right. I can’t lie: I thought this phase of my life was supposed to be more about me — pursuing a business, working my way up the NBA ladder in some way. And that’s still doable.